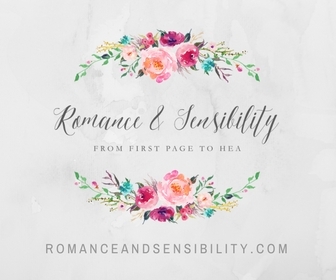 Books and Sensibility: Books and Sensibility : Connect with us ! 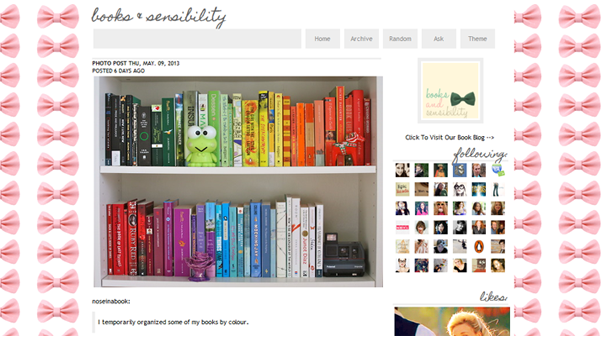 Books and Sensibility is sporting a new tagline; "We're An Open Book". 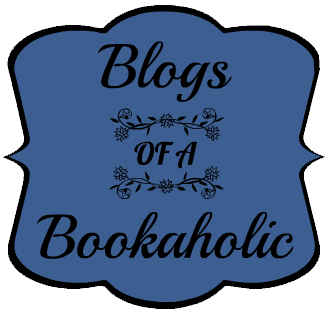 I like this tagline because while you're reading our blog I want you to get a sense of who we are, what we like and what bookish things we are up to. To help open the door, here are all the ways you can connect with us online outside of the blog. Books and Sensibility vlogs ! 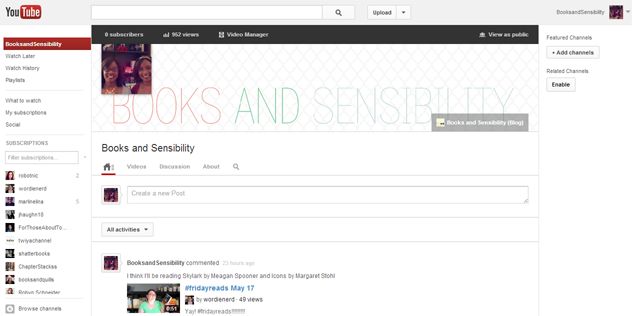 Kat and I decided to expand our blog by doing vlogs. So far we've done Stacking The Shelves,The Book Shelf Scavenger Hunt and talked about sequels. 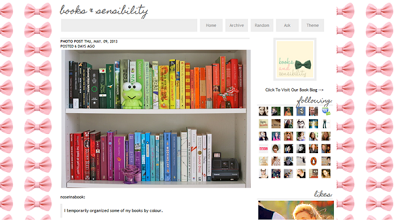 Kat usually updates the Tumblr with fanart, funny gifs, infographics and bookshelf-spirations. 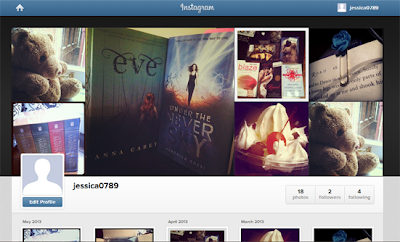 This account is usually 100% bookish ! I started my own Twitter account a few months ago. 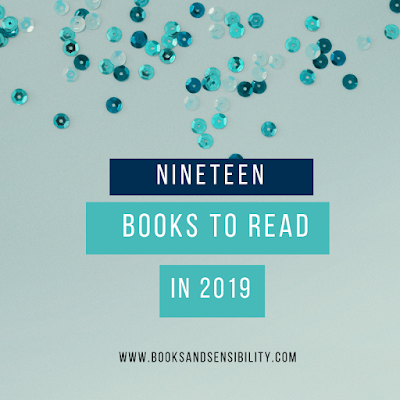 I like to use it to keep up to dates on book news, update my reading pile and sneak my way into conversations with awesome authors. I am a Pinterest addict ! Once I get started I can't stop, my Pinterest has a Books and Reading board plus tons of other boards. This is one of our newest accounts and mostly features photos from author events and bookish projects. The pictures that aren't used usually sit on my desktop, so I decide to share them. Next month it will be updated with our 2013 BEA picks. Instagram is THE reason I wanted and iPhone. I've just started using it more and it's the best way to take photogenic pictures of author events and books I've received. 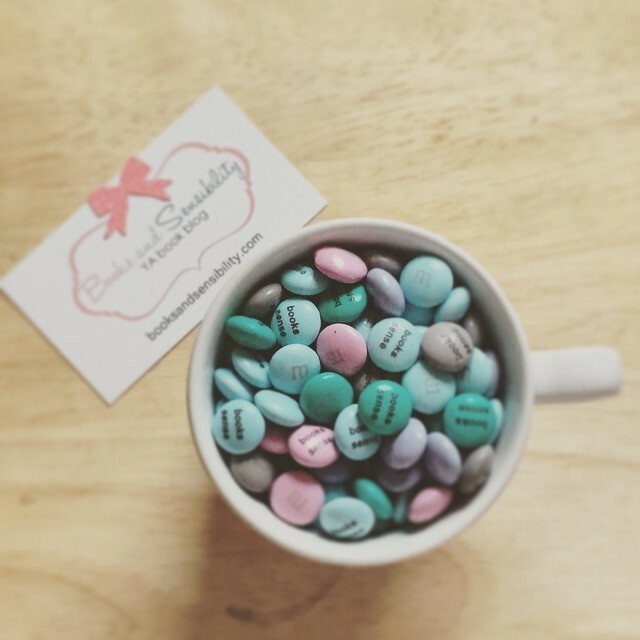 How is your book blog connected to social media? Tell us and we'll be sure to follow !